The team of experienced professionals at Advanced Laser Skin Center in the Westerville neighborhood of Columbus, Ohio helps men and women look and feel their best with the latest cosmetic procedures, including Kybella®. FDA-approved Kybella is the only injectable treatment that destroys fat cells under the chin, eradicating that pesky submental fullness, known as a “turkey waddle” or “double chin.” Whether your neck has lost its tautness due to age, or you’ve always been plagued by loose skin under your chin despite following a healthy diet and exercising, Kybella may be for you. 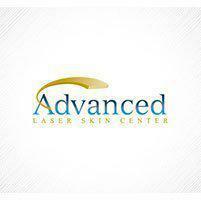 Book a consultation appointment at Advanced Laser Skin Center today. Kybella approved by the FDA in the spring of 2015 has quickly become one of the most sought-after cosmetic treatments. It’s the only injectable treatment that contours the area under your chin, reducing the appearance of loose skin or excess fat that creates the appearance of a double chin. This injection, which contains deoxycholic acid, is customized to address the specific needs of each patient. Deoxycholic acid is a molecule that occurs naturally in the body and helps to breakdown and absorb fat. However, when this chemical is injected into fat cells, it breaks down the fat which is then absorbed by the body and excreted. The former fat cells are no longer able to absorb or store fat after treatment. Who benefits from Kybella treatment? Kybella is great for women and men who feel self-conscious or embarrassed about submental fullness, or excess fat under their chins. When you exercise regularly and eat well, but still struggle with stubborn pockets of fat under your chin (or on other parts of your body), it is frustrating. Many people feel like this extra fat makes them look overweight or older than they actually are. Kybella is also a non-surgical alternative to invasive liposuction or surgery. What does Kybella treatment entail? Kybella treatments are customized to meet the specific needs of each patient. Generally, just 50 tiny injections underneath the chin instantly destroy the fat cells. Over time these dead cells are naturally flushed out of the body, and the result is a significant reduction of that dreaded fullness under the chin. The injections take just 15-20 minutes, depending on your needs. While many patients notice results after 2-4 treatments, it is possible that you will need more. Remember that results vary from patient to patient. Also, you should allow a month between each Kybella session and should not have more than six treatments.